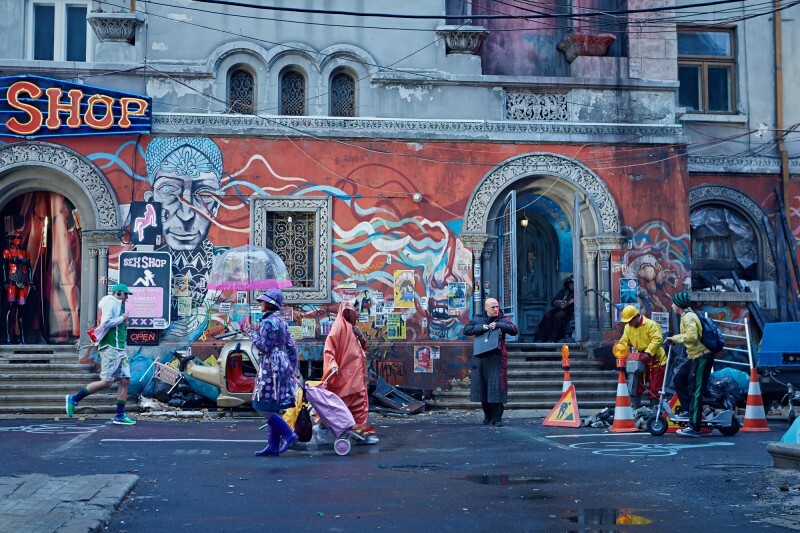 "Quirky and Bizarre, Yet Oddly Charming, Terry Gilliam Does it Again"
True to form, Terry Gilliam once again proves that he is the master of dystopian future-scapes with his latest film, The Zero Theorem. Qohen – pronounced “Cohen” – Leth (Christoph Waltz) is a fear-ridden neurotic computer programmer who works for the world's most powerful company; Mancom. Spending all of his waking hours “crunching entities” (visualized in classic Gilliam fashion as a geometric puzzle involving a revolving cube) and waiting for his phone call, the paranoid Qohen agitatedly goes to and from work; nothing else in his life is worth thinking about. Fearing that he may miss his phone call, he coerces himself into believing that he is dying in order to be allowed to work at home. His request is at last met when he meets the mysterious and camouflaged Management (Matt Damon) at his supervisor's house party. 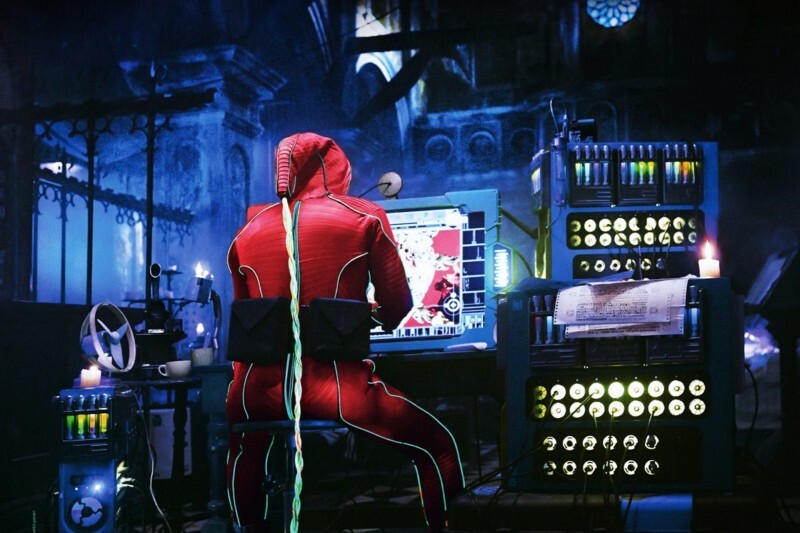 Interested in Qohen's particular brand of insanity, Management deems him the perfect test subject for his pet project: The Zero Theorem. Looking like a bizarrely crafted Minecraft landscape, this enormous algorithm aims to prove that life, the universe, and everything are meaningless. Finally able to work from the comfort of his reclaimed monastery home, Qohen sets out to complete the equation; with the added coercion of several “tools” employed by Management. Terry Gilliam is again able to put his considerable imagination to use in designing the world in which Qohen lives. As denoted by advertisements that cramp the skyline and adorn every available surface, “The future has come; and gone”. The surreal nature of every device and interaction in Gilliam's world are examined to the minutest detail. Computers that store data on neon colored vials, ticker-tape advertisements that follow members of the public as they walk down the street, even the branding and unique wordage on cardboard boxes in the corners of the room; Gilliam has tweaked every inch of his well-crafted universe. His satirical take on the modern wide-spread use of handheld electronics is hilariously portrayed at a house party, wherein all the guests are illuminated by the screens of their phones and tablets. Although house music is playing, each guest has headphones in listening to their own music or video chatting. Even at the most cramped social event imaginable, Gilliam has found a way to purvey the overwhelming sense of isolation and loneliness. 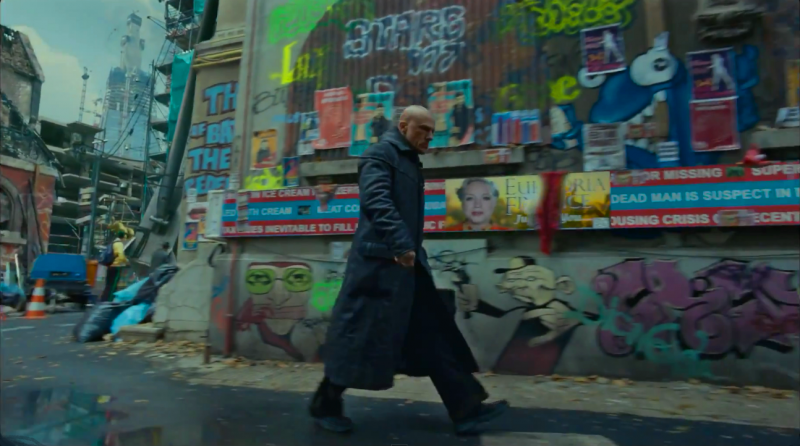 Mass surveillance, too, is a major theme in Gilliam's picture. Just as the vast system of ducts in Brazil served as a metaphor for governmental control, dozens of barely-hidden cameras and signs denoting: “Management is Watching” certainly makes a statement about the current direction of governmental surveillance. Even more pervasive are the callbacks to dialogue spoken “secretly” between Qohen and one of Management's many tools. Characters recalling bits and pieces from conversations that they were not a part of suggest conspiracy, and even more so the lack of secrecy surrounding the video footage. Gilliam encompasses his works with a tremendous amount of visual symbols, many of which come off as heavy-handed, and some so subtle they demand further viewing. The characters each play their quirky roles well, but are only depicted at face value. The only motive seems to be money/esteem in the eyes of Management; each is so self-serving, there is little actual humanity left in this depiction of the human race. Qohen seems to be the only character with any depth and motivation, and Waltz plays him very well. Having a nervous demeanor, and a peculiar penchant for using plural words to describe himself (themselves), the incredible emptiness that inhabits his character’s soul seems genuine – while also serving as a backdrop to the other empty characters that refuse to admit to their own emptiness. The story itself is relatively shallow, especially when placed within the immensity of the world Gilliam creates. Standard religious tropes permeate, and the simplistic story offers little more than the search for “the meaning of life.” Part protest against corporate greed and governmental surveillance, part self-actualization film, The Zero Theorem cannot live up to its promise. 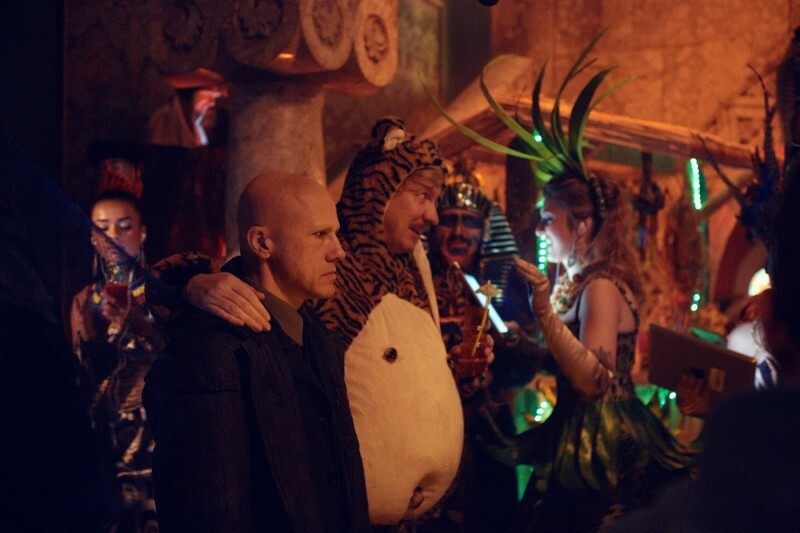 While Terry Gilliam once again demonstrates that his rich imagination is sharp as ever, the lofty premise of the The Zero Theorem prevents it from living up to expectations.